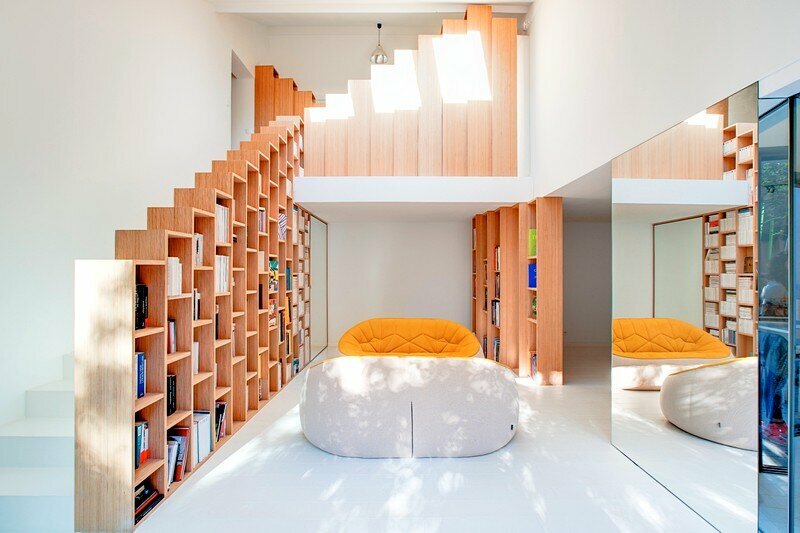 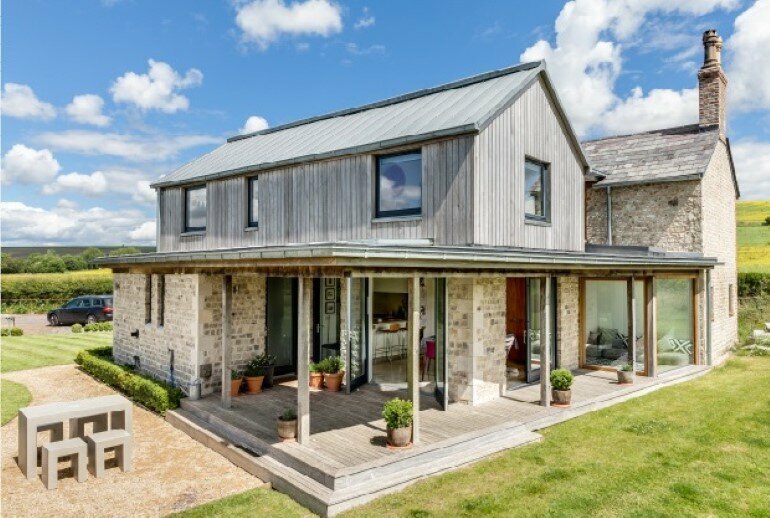 Laurel House is an extension project completed by British studio CaSA Architects. 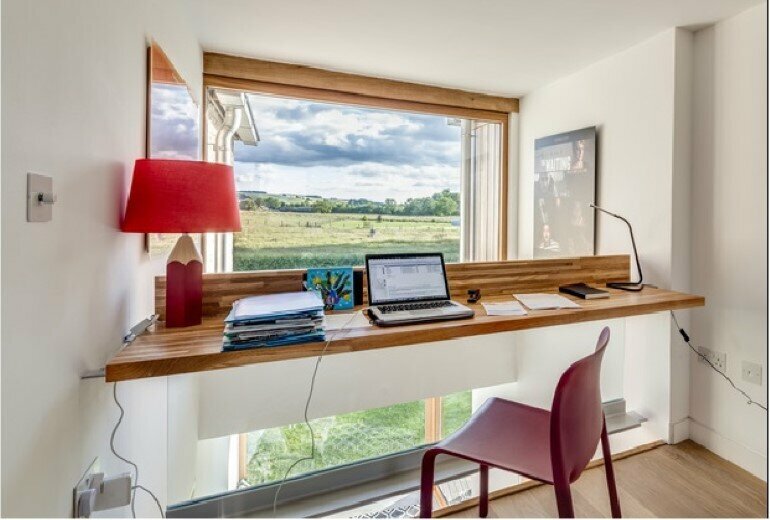 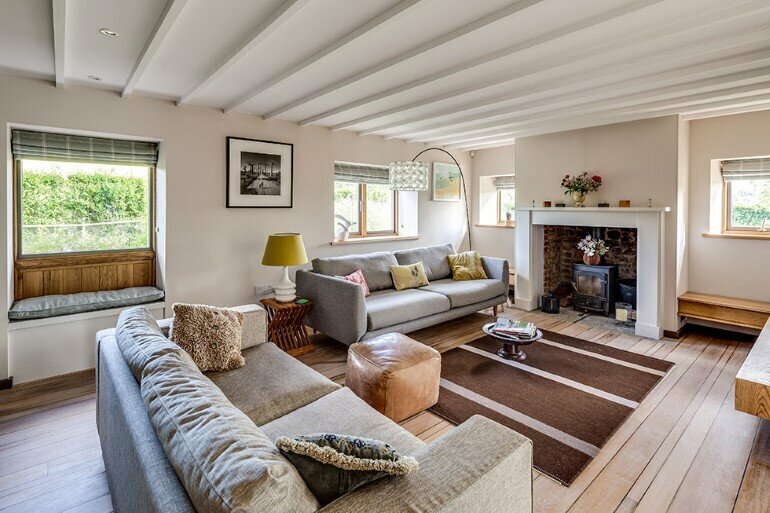 Description by CaSA: Laurel House was a modest cottage in a wonderful setting within an area of outstanding natural beauty. 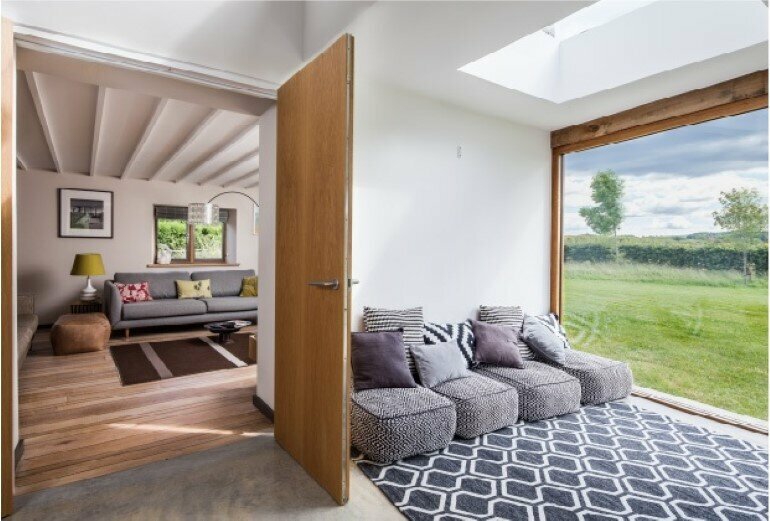 CaSA worked closely with the client and the local Planning department to gain consent for a substantial contemporary extension appropriate to this sensitive location, well beyond the normal planning allowance. 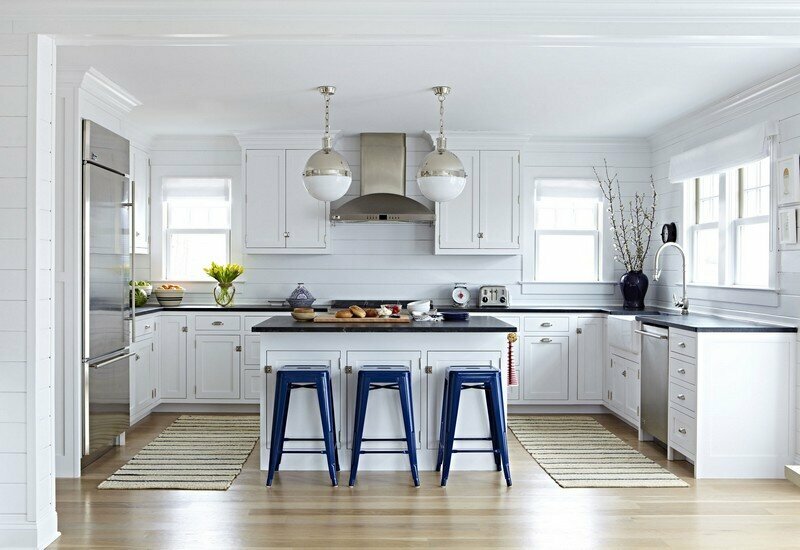 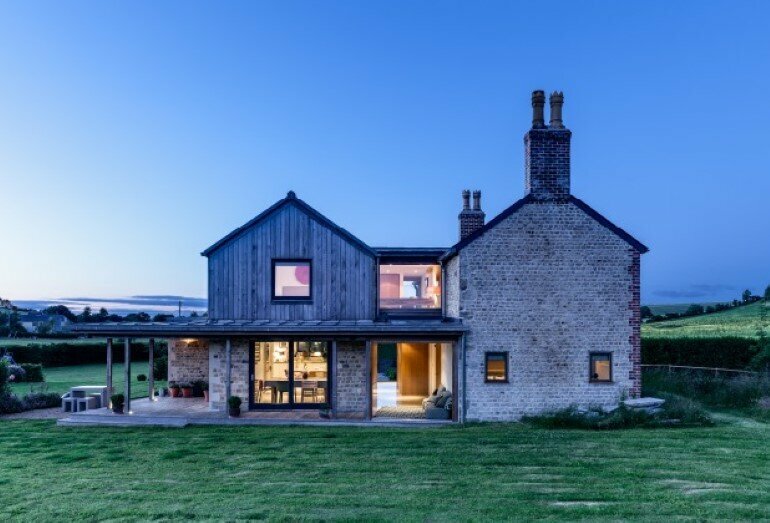 The simple form of the existing gable structure to the front was replicated at the rear to provide 2 additional bedrooms at first floor, with an open plan kitchen and dining room below. 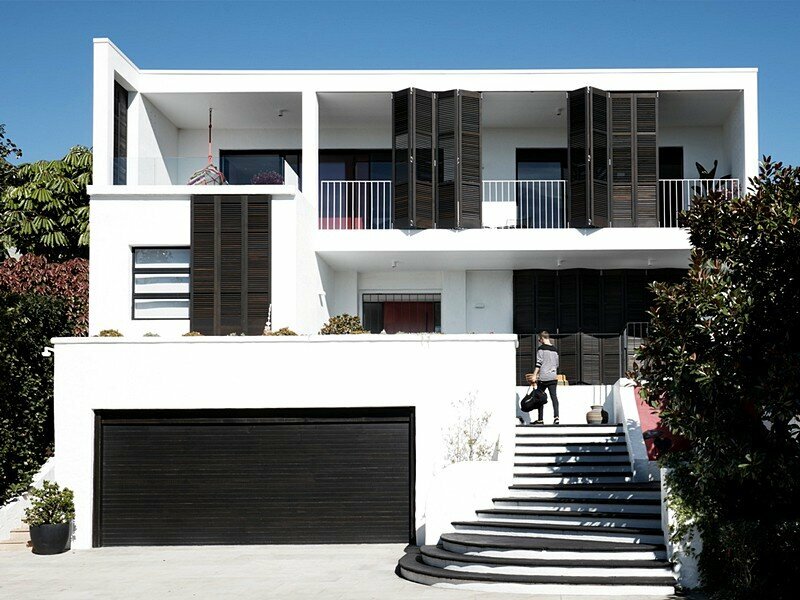 A new entrance, stair and hall is contained within a narrow ‘spine’ located between the two gable structures, clearly defining 3 separate volumes which express their different functions. 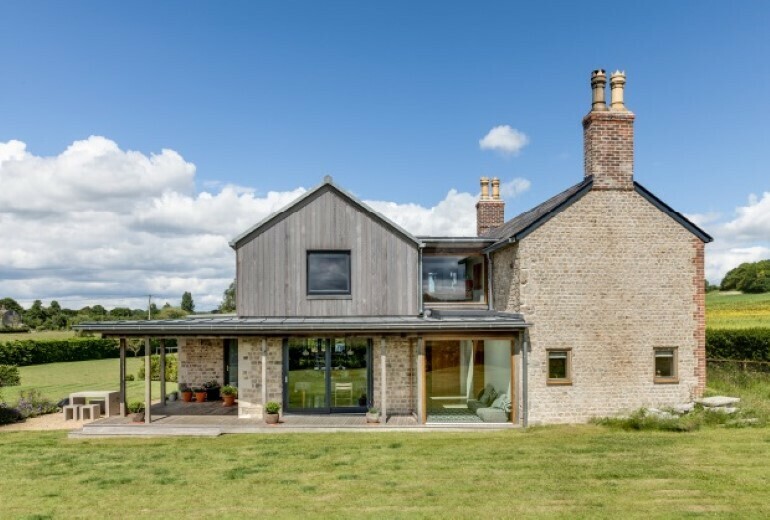 The offset between the front and rear gable structures results from the need to respect the extent of the site boundary, which runs out at an angle on the western side. 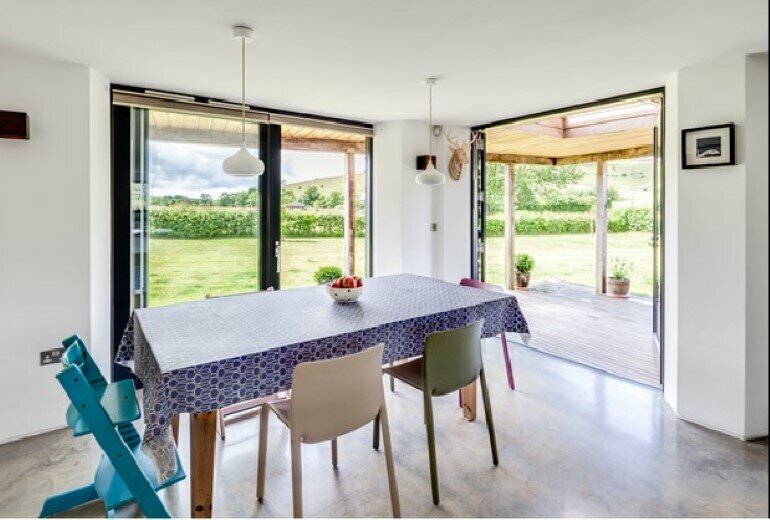 The off setting also helps reinforce the subtle distinction between the two elements, old and new and allows a covered terrace to wrap around the South and west sides of the new extension, enabling outdoor living in all weathers. 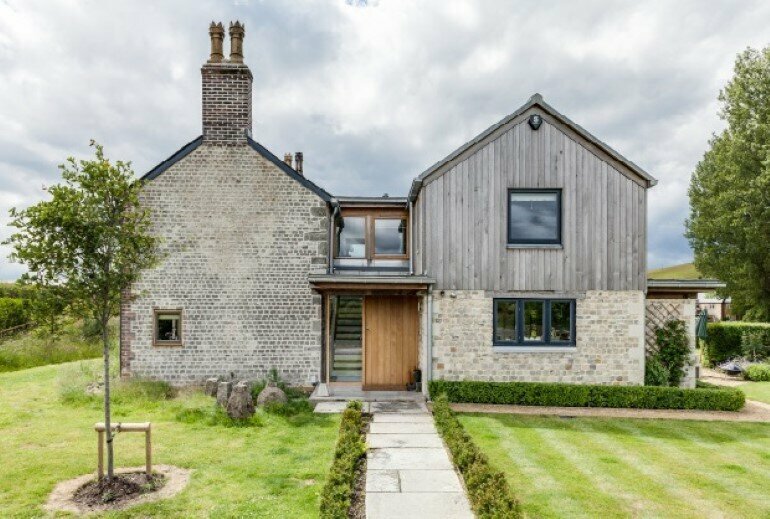 Quality natural materials are used externally including blue lias stone to match the cottage as well as cedar, zinc and oak, all weathering to a subtle palette of different greys, sitting comfortably against the original cottage and within the wider landscape. 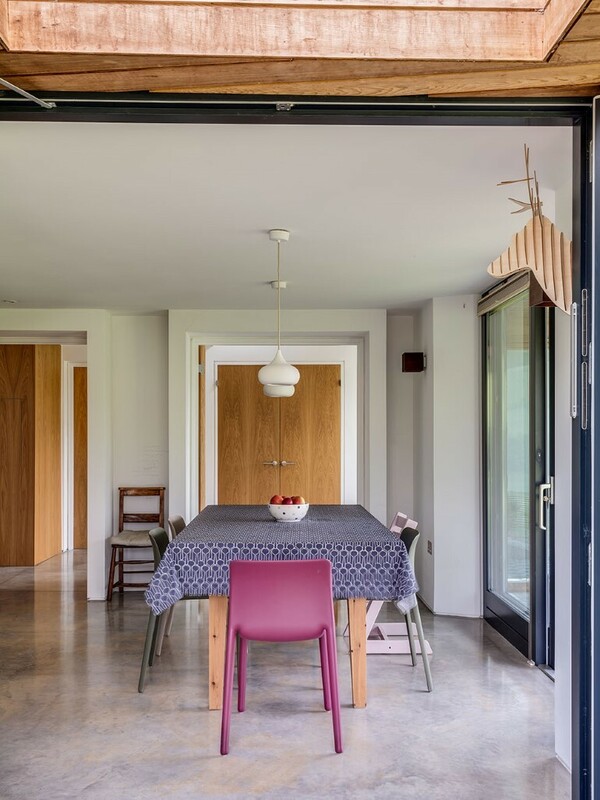 Internally the spaces are carefully arranged to allow flexible family living, with double doors allowing spaces to work together or in isolation. 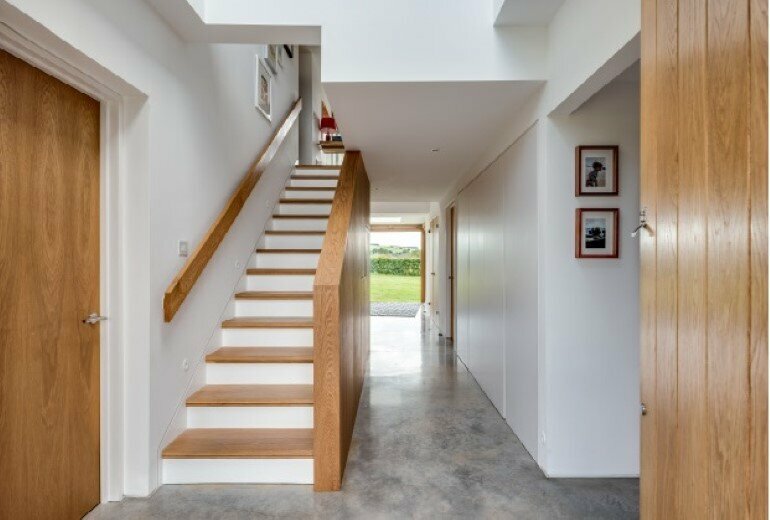 Double height spaces within the stair hall provide a dramatic sense of volume and allows light to flood into the adjacent spaces. 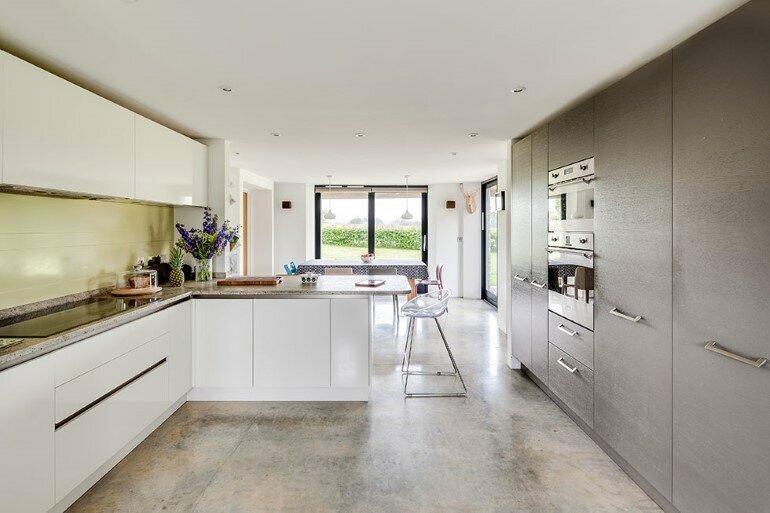 Polished concrete floors throughout the ground floor connect these spaces, with oak joinery and flush frameless doors and cupboards creating a streamlined and spacious feel to the interior. 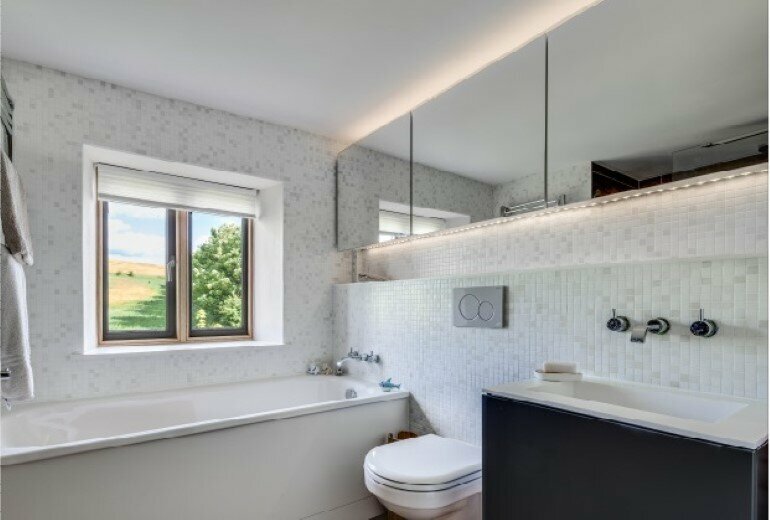 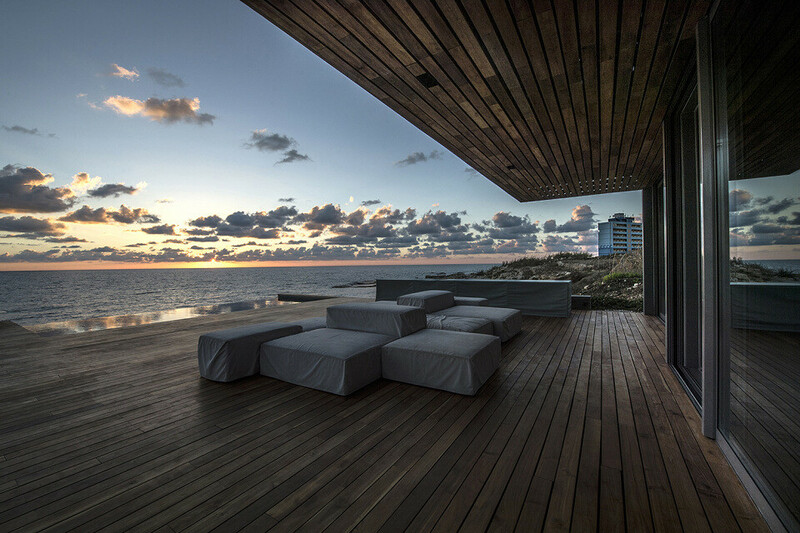 Super insulated walls and underfloor heating provide an extremely comfortable and efficient living environment in this extremely exposed site. 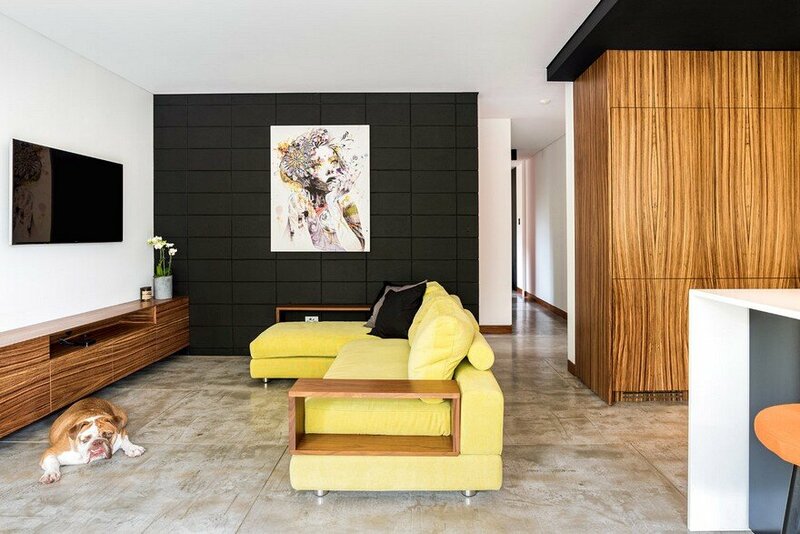 The budget was carefully employed to respond to the priorities of the clients, who are now enjoying the benefits of a highly bespoke design very specifically tuned to their lifestyle.